We created this site because ever since I moved to the West Village, I wished a site like this existed—somewhere we could easily find good local places to eat, whether it’s for a few beers with friends, a romantic spot to bring a date, some tasty pasta or cheap Chinese, whatever. Baller Spot. Always delicious. I’ve been here 3 times and it is always consistent. In my opinion, this is one of the top restaurants in the West Village. 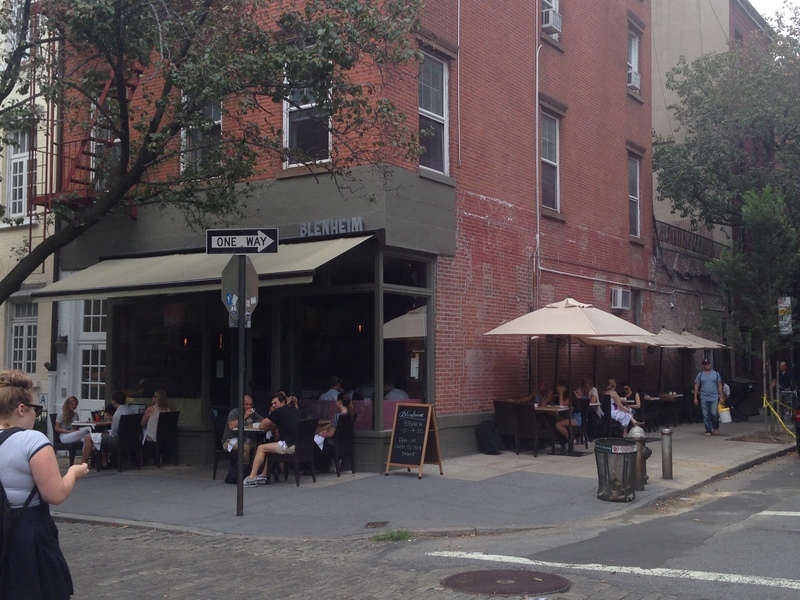 It’s located on the corner of Hudson and Perry with great out-door seating in the summer. Also, the interior is rustic and inviting. All the times I went, the music and vibe was spot on. 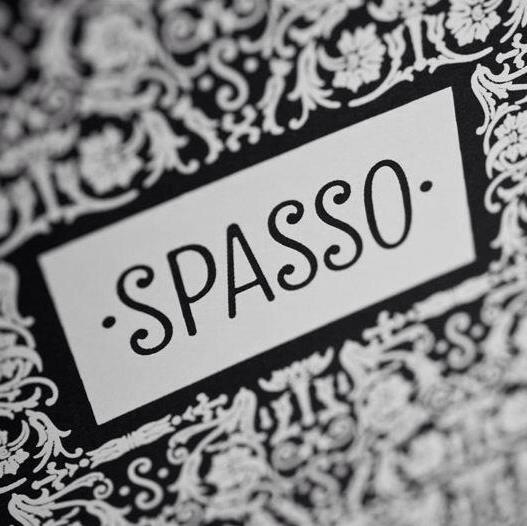 This is an Italian restaurant, but It’s modern, funky Italian, where the dishes are not necessarily traditional. There is a flair to all the food here. 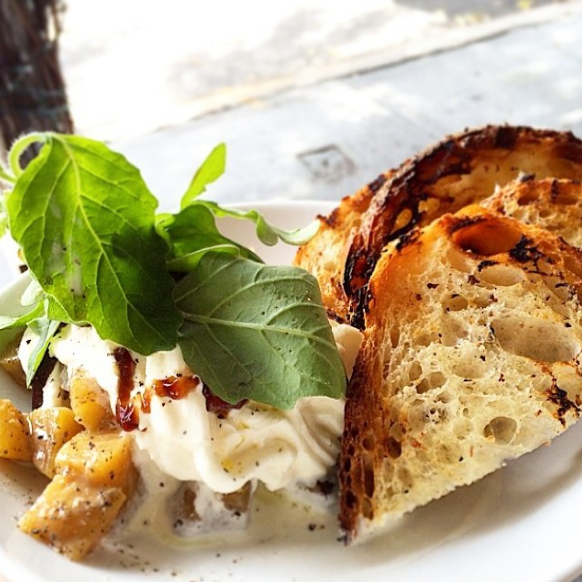 The house made Straciatella Cheese is a must…It is basically creamy, stretchy mozzarella cheese. I think this is one of their most popular dishes because every table around us had it. They use a nice balsamic vinaigrette with pickled cherries which adds to its’ sweetness. 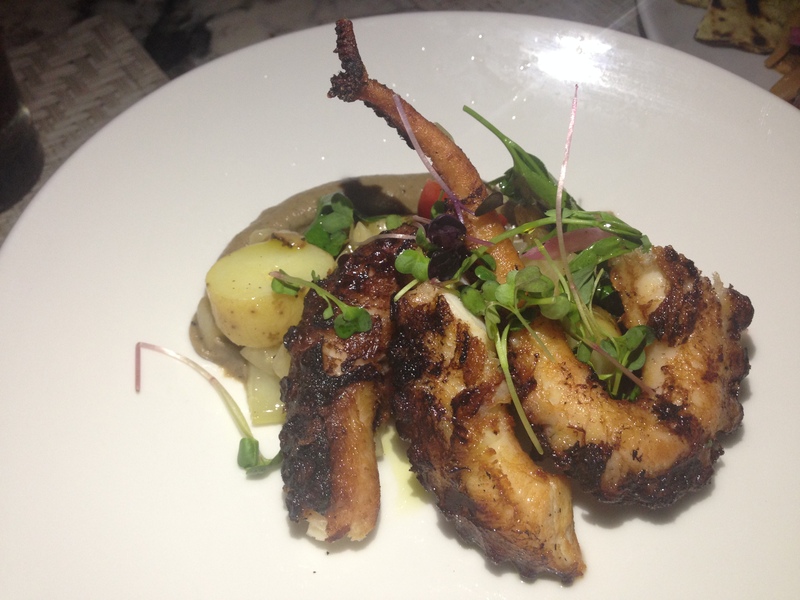 The Grilled Octopus confit with olive-fennel purée has a nice unique taste. 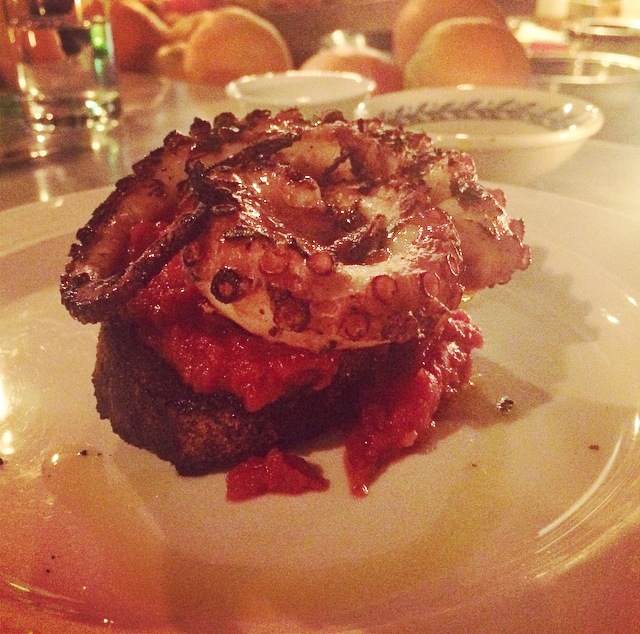 The fennel adds a distinct flavor that I haven’t had with octopus before. It would be nice if the dish was a little bigger, but maybe next time I will order 2. 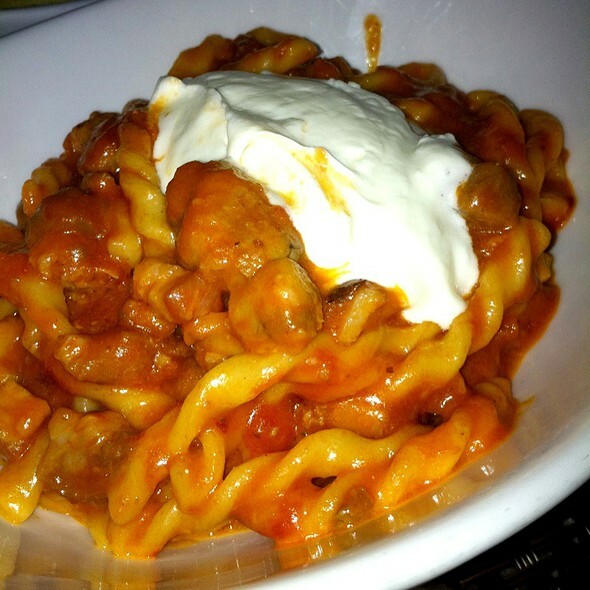 The Fusilli pasta with Spicy Pork Ragu, Goat Cheese, and Mint was also very tasty. The mint and goat cheese together in a spicy pasta is refreshing. For me, the Pork Milanese stole the show. I don’t know of any other restaurants that make this dish. And putting a fried egg on it was perfect. 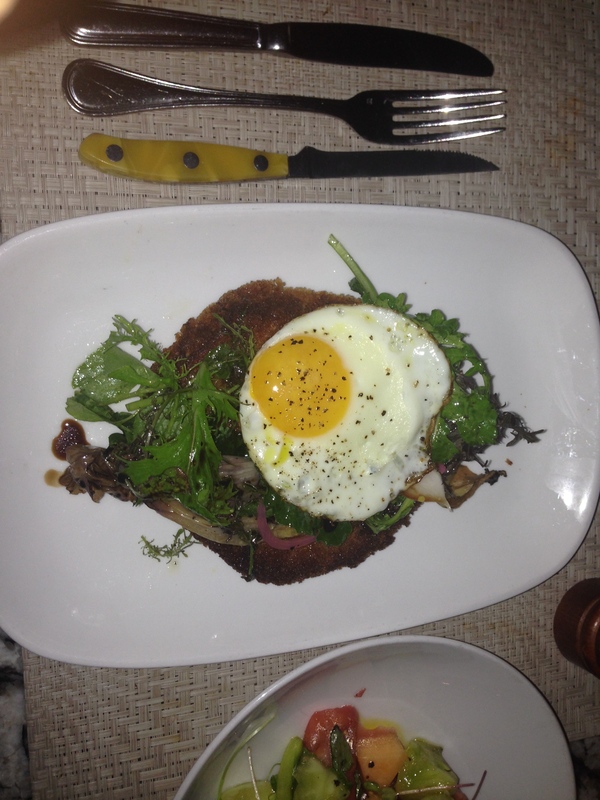 This had a remarkable taste with the mix of salad, pork and egg. I’m not sure if this is a constant on the menu, but if not, it should be. 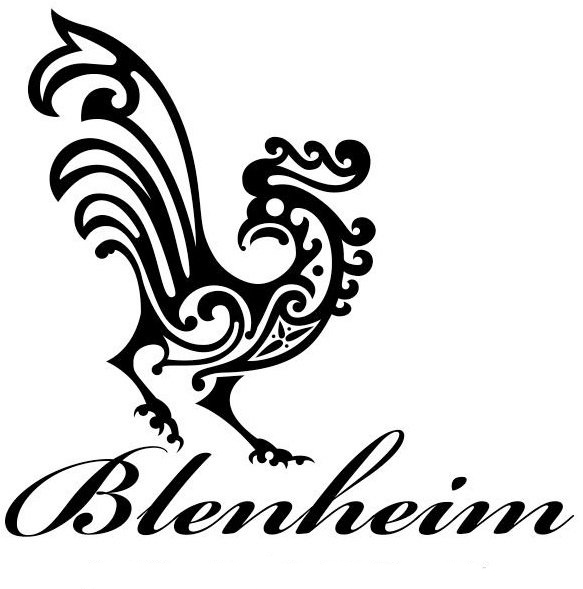 Blenheim is a new spot on West 12th, right next to Dell’ Anima, The Beatrice Inn, and Cafe Cluny. 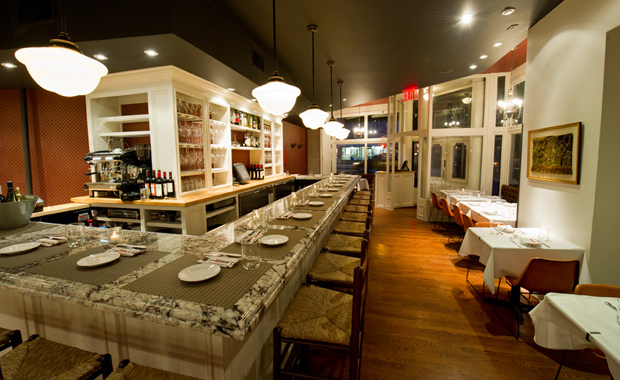 The location is money; and is arguably on one of the best corners in the West Village. I knew this place recently opened, and had heard amazing things from my friend Eric claiming it was “one of the best meals of the year”. 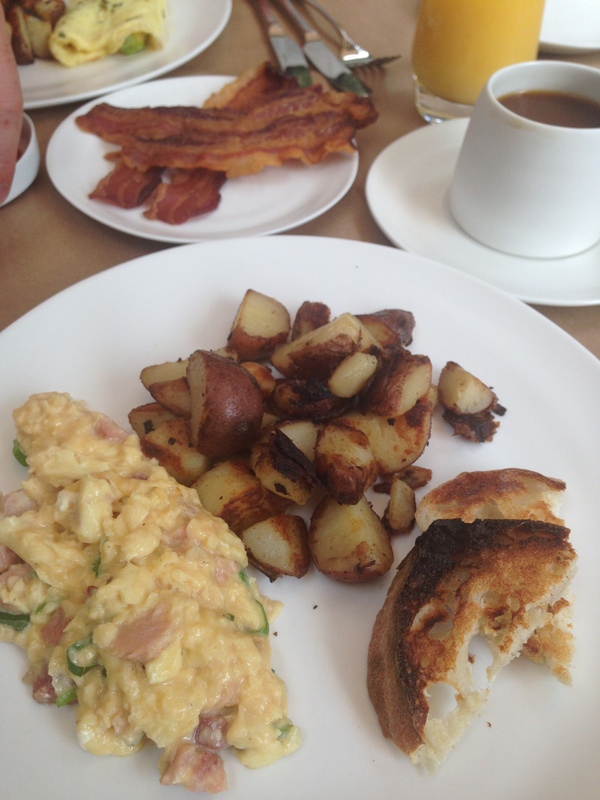 My friend Andrew came and met me for Sunday brunch and what a treat it was! 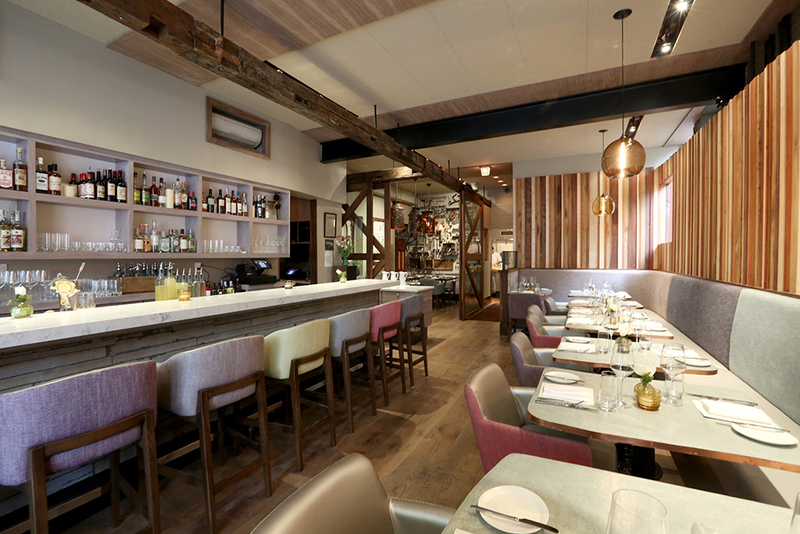 The interior of the restaurant is very light, airy, and rustic. But we decided to hang outside and people watch. All their food is farm to table and comes from the Blenheim Farm in upstate New York; hence it was unbelievably fresh. You can tell when restaurants use really fresh ingredients. In addition, some of their preparation was among the best I’ve ever seen. To date, their Cream Cheese Panna Cotta desert was the prettiest thing I have ever eaten. I had the Blenheim scramble which is scrambled eggs, ham, and cream cheese. Delicate and delightful. And of course, I also had a side of bacon, which was nice and crispy. 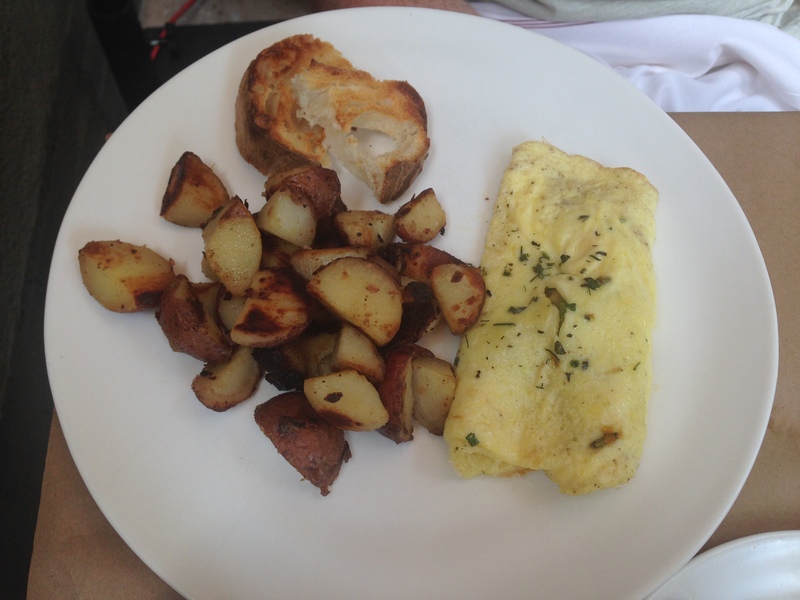 Andrew said his herb omelet was bomb. Cooked to perfection. Who doesn’t get desert after brunch? 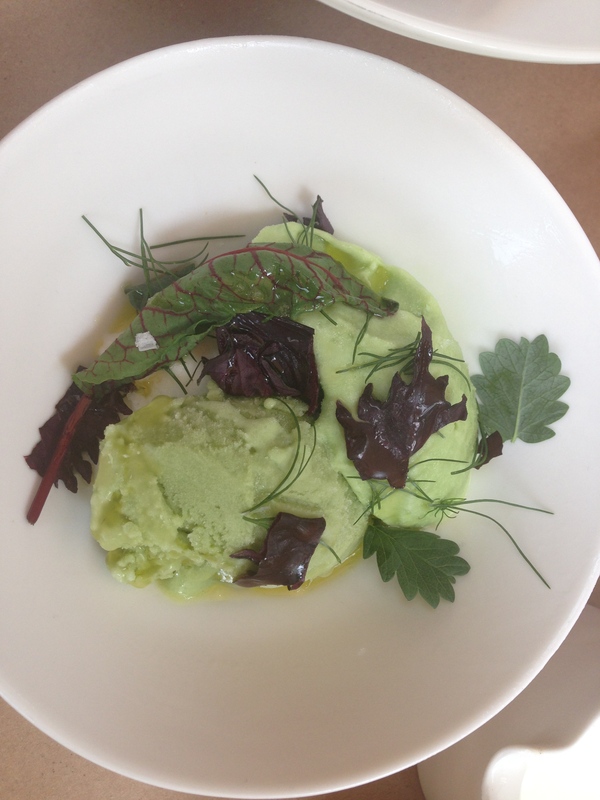 The herb sorbet from their farm was the perfect way to end a nice meal. 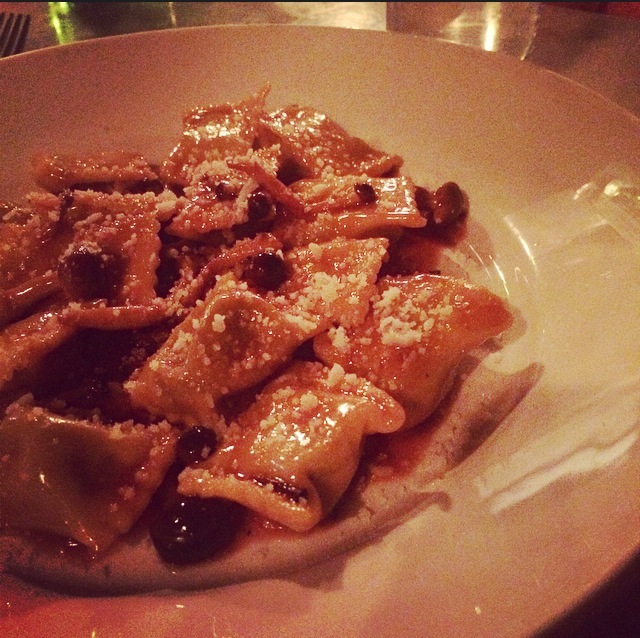 On the corner of Minetta Lane right off 6th Avenue lies the rustic Italian meal you have been waiting for. Think rich flavors, bold Italian notes all presented in a beautiful way on your plate. Nothing about the dinner felt stuffy or overdone – just a great dinner on a cool summer night. The space was pretty comfortable for a Thursday night when you don’t want to be surrounded by loud music and you prefer not to yell across the table to your companions. In this case, we sat at the raised prep bar towards the back where we had a perfect view of both the salad prep station and the busy main kitchen right to its right. Watching your plate get its finishing touches before it comes your way is definitely a treat for any diner. An added bonus, this is a definitely both a date spot & dinner with the parents kind of spot in my book. Dim lighting, great wine choices and pleasant staff abound. Equally perfect for picky eaters who just want a little old-fashioned pasta and those who venture into squid-ink territory (yay for adventurous eaters). Finally, I can’t let you go without a view of our plates. 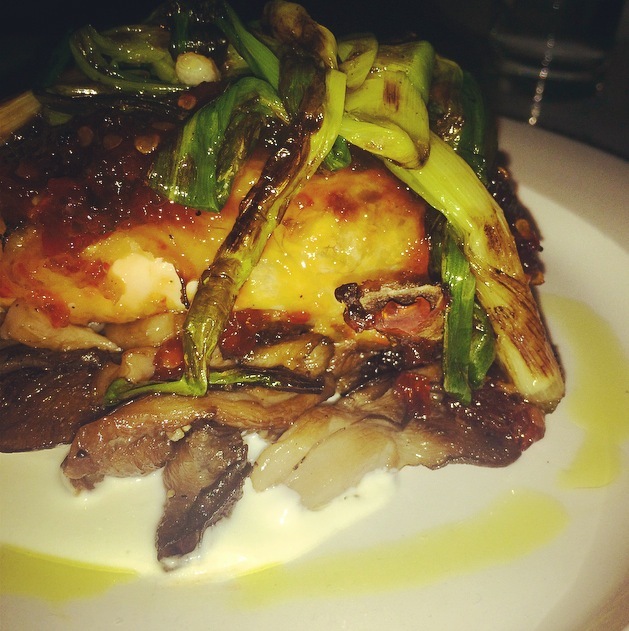 Juicy chicken with a spicy pepper rub, goat cheese and oyster mushrooms. 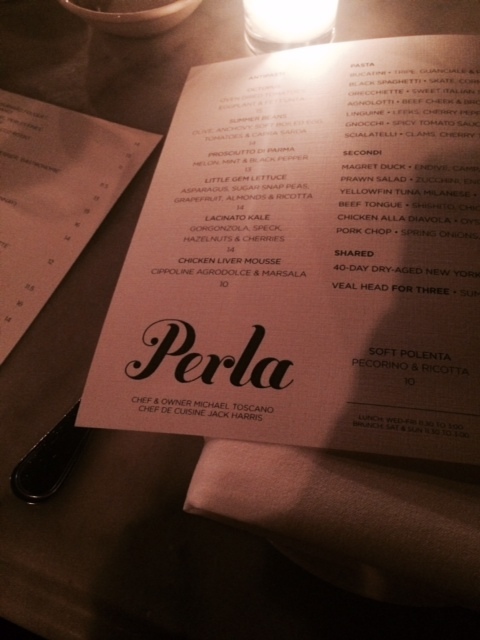 Have you been to Perla? Share and let us know. That’s right, we said it. We think you’re hot and you want a nice, cold smoothie. Luckily for our wonderful readers, you can get a *free* smoothie at the one and only, 16Handles [UPDATED: The offer has expired. Thank you for participating and check back soon for more sweet deals]. 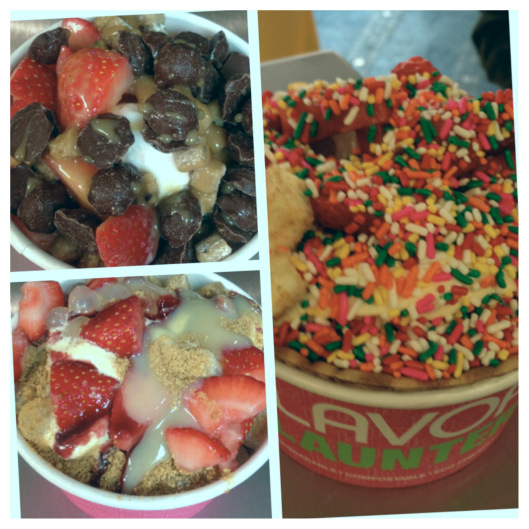 For those of you who aren’t familiar with this delicious place, you can’t go wrong with self-serve frozen yogurt no matter what you put on it (we aren’t judging). Last time we went here, there was some obsessing over the graham cracker flavor. Fellow readers, it has officially arrived, and I’m not just talking about hot and steamy July. 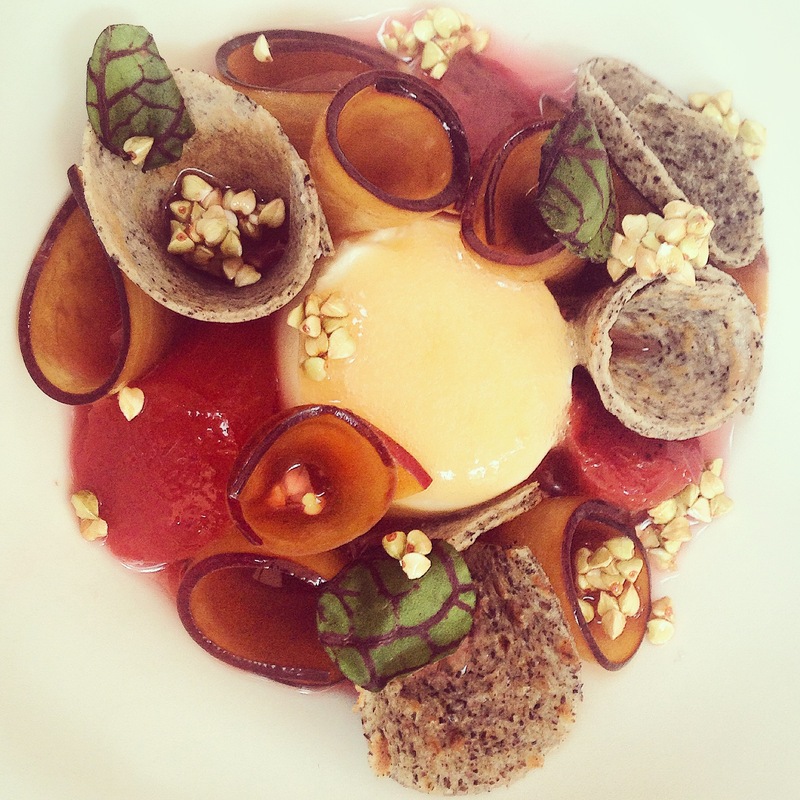 Restaurant week, or to be exact 3 weeks (!!!) 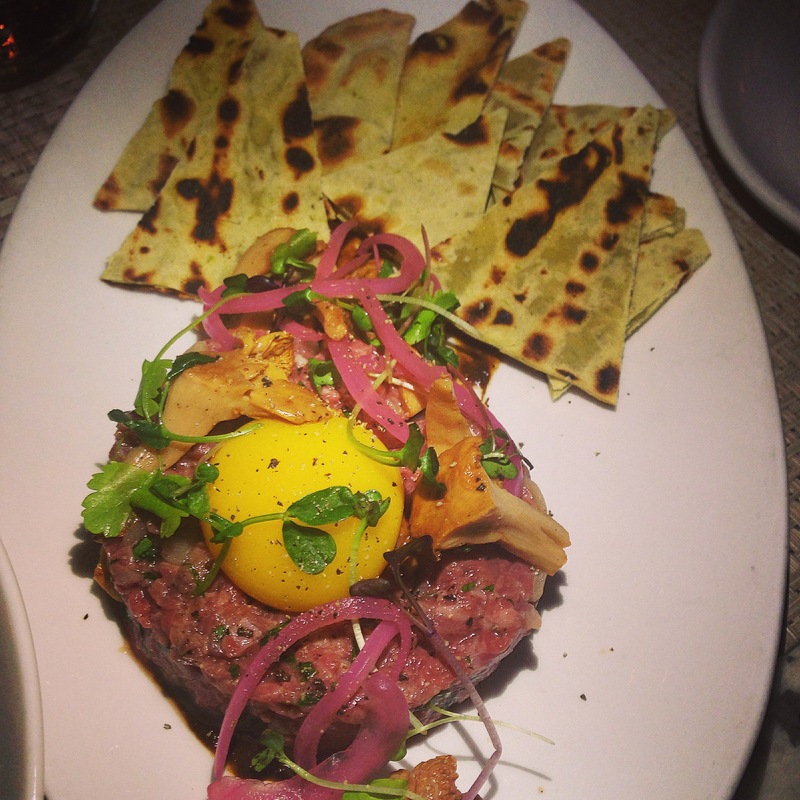 of affordable pre-fixe lunch and dinner possibilities in some sweet NYC restaurants starts very soon. We did the hard research work for you, naturally, so have your pick of these 12 spots and think of us with each delicious bite. You’re very welcome. Will my bank account be sad? No. Lunch is $25 for 3 courses and dinner is $38 regardless of where you go. P.S We’ll be doing some eating and reviewing ourselves so check back soon to see what we’re up to and what we recommend. Full list of all participating restaurants can be found by clicking here.